To be successful online seller you must be able to provide fast, flexible and moderate shipping services. With the positive experience the customers are likely to come back to shop from you again and again. As a business grows, order fulfillment becomes challenging and more complex. It becomes difficult to reach consumer expectations, drive sales, and manage fulfillment costs with the influx of orders in multiple sales channels. In this blog we will be discussing about different fulfillment strategies so you can pick one in accordance to your business. As the name says ‘Do It Yourself’, DIY Order Fulfillment is best for small businesses or for those who are newbies and relatively have low order rate. Not all ecommerce businesses have the requirement of fulfillment services. In this fulfillment strategy sellers handle the processing, packaging and shipping the orders themselves making it the most cost-effective option by far. Sellers have to constantly work on the fulfillment to make it seamless. With the growth of business there is an increase in customer demands. This retail success can slow down the business if not able to cope with the demands. 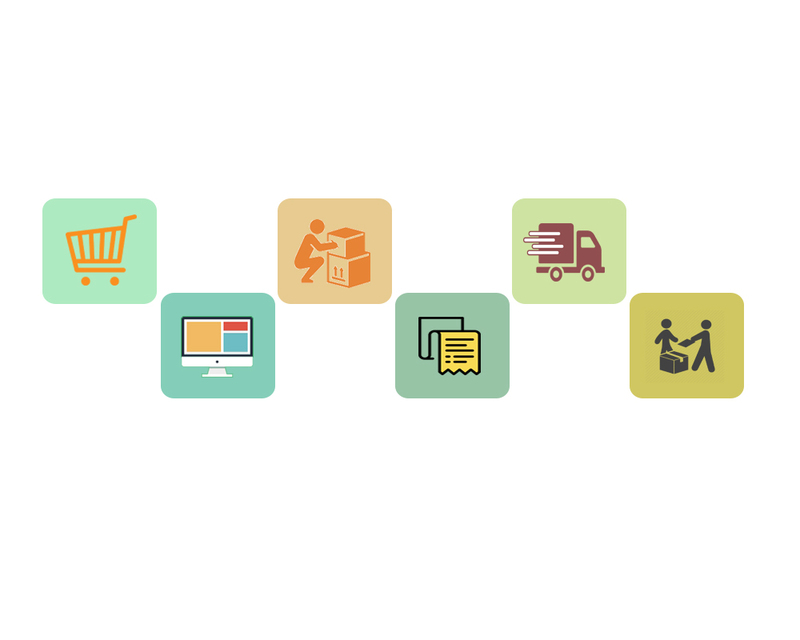 Order Management Software helps to manage different part of the fulfillment process. It involves tracking whether there is inventory to fill orders, managing warehouse, getting the order to the customer, and so on. It encompasses everything involved with taking and filling orders. Having a wide selection of products gives customers to explore the ecommerce site. Managing inventory sometimes becomes tiresome. With drop ship strategy sellers do not have to care about over-stock clearances, out-of-stock shelves. Sellers can start selling the moment the product is published on the ecommerce site. Sellers do not have to invest time in packing and shipping orders. As the sellers do not stock the product in the inventory, it significantly reduces the investment in products and inventory and minimizes the cost. Third Party Logistics is a service which is beyond drop shipping where sellers outsource the shipping and fulfillment to third-party logistics (3PL) providers. These providers offer a set of services that require multiple packaging, shipping, and storage solutions. As per the sellers requirement 3PL will provide value-added services that reach beyond typical shipment methods. Many of these add-on services focus on the customization of shipping labels: gift messages imprinted directly on the label, client-designed custom labels, providing customer identification information directly on the label. Fulfillment strategies, no doubt, improve the order fulfillment process but also make operations complex as the business grows. Integrating e-commerce sales channels with the ERP system enables function even more competently as a business. The key types of data, such as shipping/tracking, order, customer, item, and inventory are all linked to independent systems. There are integrations which pass this data between the systems automatically, thus eliminating the need to enter data from one system to another, manually. Missing, incomplete, or incorrect product information. MobilityeComemerce provides such integrations between various sale channels and ecommerce site so that you can facilitate the flow of real-time information across the system, make data-driven decisions, manage performance of your business. 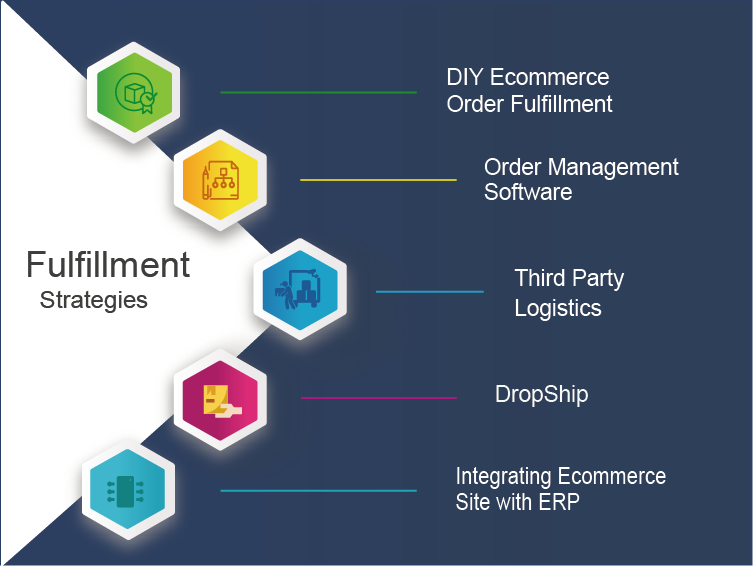 To know more about our Integration Software contact us today or email us at info@mobilityecommerce.com or call at 408.805.4704 to speak to our e-commerce specialist! Fulfillment by Amazon is a popular fulfillment method used by sellers. FBA allows sellers to store their products at Amazon’s warehouse. When customer places order the warehouse staff packs and ships the order to the customers on your behalf. As part of the FBA service, Amazon handles the customer issues. It also takes care of returns. Through FBA seller can switch to multi-channel with ease and fulfill the orders through other sites directly from the Amazon warehouse.